10:17pm Outside the HOH room. Scottie and Haleigh. Haleigh – Sam has a crush on Brett. She was pissed.. she was asking Rockstar if Brett and I f**king bang. That’s disgusting. I would throw up. 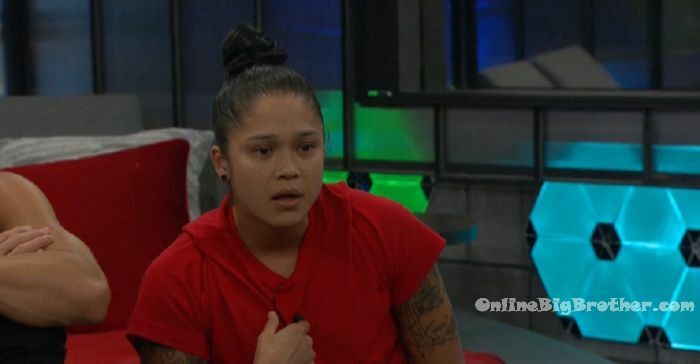 Then she came to my room and said Haleigh – who do you have a crush on in this house? Scottie – Sam said that or Rockstar? Haleigh – Sam did in front of Rockstar. I said well JC I guess. And she started laughing. I said I don’t know there are a bunch of cute guys. Sam left and Rockstar said Sam is jealous of you and Brett. Scottie – that’s why she put you up then. 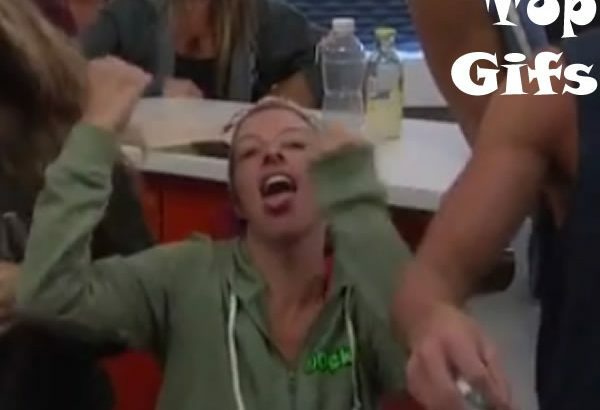 If I won HOH I would put Sam up and expose her. 8pm Kitchen. Haleigh, Fes, Tyler, Scottie. Fes – about time there was an athletic comp. Fes to Tyler – so you have how many comp wins? Tyler – four. Fes – in my book you’ve got five. 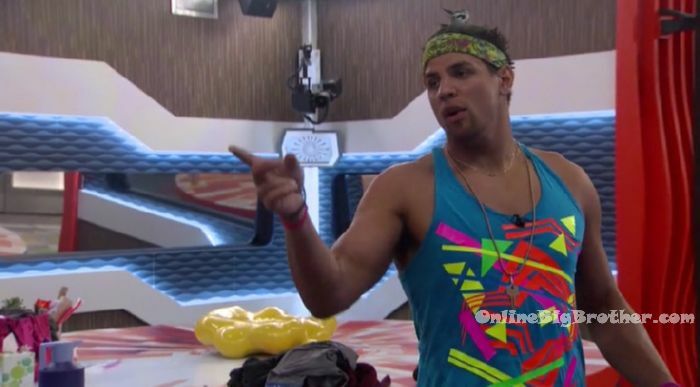 Tyler – three vetos and one HOH. Scottie – so next week is definitely going to be double (Double Eviction) with questions. Tyler to Fes – so you have four? Fes – two vetos and an HOH. Fes – figured my vote was being cancelled when I would walk in a room and no one would discuss vote with me. Tyler – Rockstar is probably on blast for her speech. Haleigh – yeah that was bad. Tyler – it wasn’t that bad. THE HIVE! One of the most comical alliances in Big Brother history. I love the HIVE! Every week they make the same mistakes it’s too good to be true. How Does this happen? 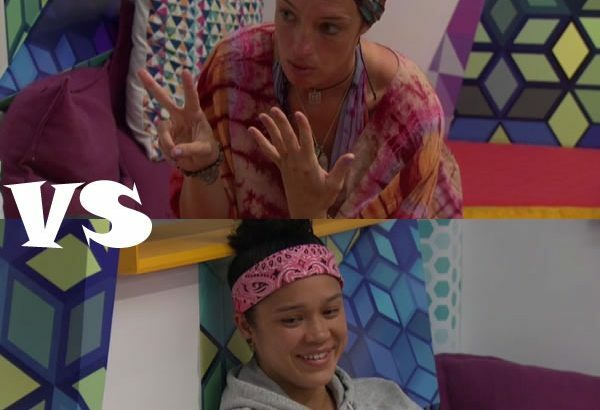 Haleigh wins the HOH but her side cannot secure the Power of Veto or Hacker power, couple this with tragic game play does not bode well for our once ‘great’ FOUTTE alliance. Haleigh’s Hive was too feeble to sway anyone in the house other than Sam (in the end she won’t flip either) The Level six alliance (+JC) ended up just toying with the HIVE all week. Rocks continued her same Schick attacking Angela with the same material she attacked Brett with. She also comes up with a killer speech that was way too much fun to type out. Rocks – it’s not that I would be blindside I just really want to know there’s an outfit I want to wear if I get evicted.. I wanted to know my finale dress.. I know that sounds stupid. .if I’m not I don’t want to pull it out.. if I am I kinda want to know.. Rocks – I totally get what JC is saying, How is he supposed to trust us. Come on JC come over to this side where we’ve accomplished every single thing we said we would do.. It’s Come on JC come to this side where we’ve literally f*ed up ..
8:30pm Lounge room. Haleigh and Fes. Heleigh – what’s wrong? Fes – Nothing I just feel out of it today. Haleigh – something is wrong with you. Fes – nothing. I just don’t feel like playing big brother today. Haleigh – you’re not going to talk to me about whatever is wrong? Okay, well I tried. Are you serious? What is wrong Fessie?! Fes – nothing is wrong. Haleigh – okay, go to sleep and I hope you’re in a better mood tomorrow. Look at me, what is wrong with you? Did you talk to JC? No you didn’t, when you said you were going to. Or did you talk to him and tomorrow isn’t going to go the way I want it.